One of the great things about moving to a new location is that you get to explore it. Everything you do is a new experience: every street you walk on, every restaurant you go to… Everything is new, to you. The town consists of two parts: Soller and Port de Soller (also called Puerto de Soller, meaning port of Soller). Soller lies near the north west coast of Mallorca, some three kilometers inland from Port de Soller, in a lush valley of orange groves, surrounded by the ‘Serra de Tramuntana’ (Tramuntana mountains), a UNESCO World Heritage site. Well maintained and with its narrow streets, tapas bars, a fine selection of pastry-shops and an impressive church right in the center, Soller really is a lovely, cozy little village. Port de Soller is more of a coastal resort living mainly off tourism. It isn’t overrun by tourists though and therefore even in high season Port de Soller has a relaxed, still quite Spanish atmosphere (compared to many other coastal resorts in Spain). Its beautiful horseshoe bay has a wide selection of restaurant and a great beach. 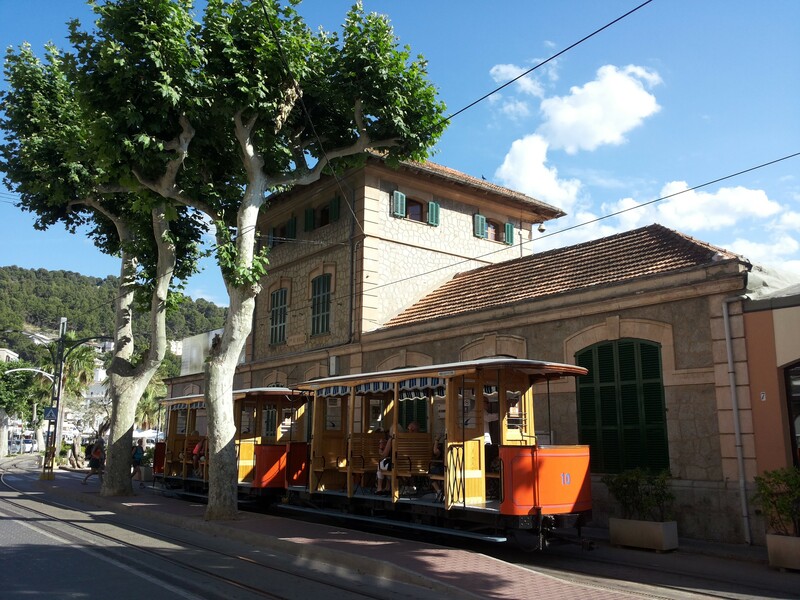 There is a vintage tram that links Soller to Port de Soller. This tramway is the only working tram on the island and is known locally as the “Orange Express”. Not for the color of the carriages, but due to the fact that its route meanders from the old town through orange groves to terminate at the harbor at Port de Soller. 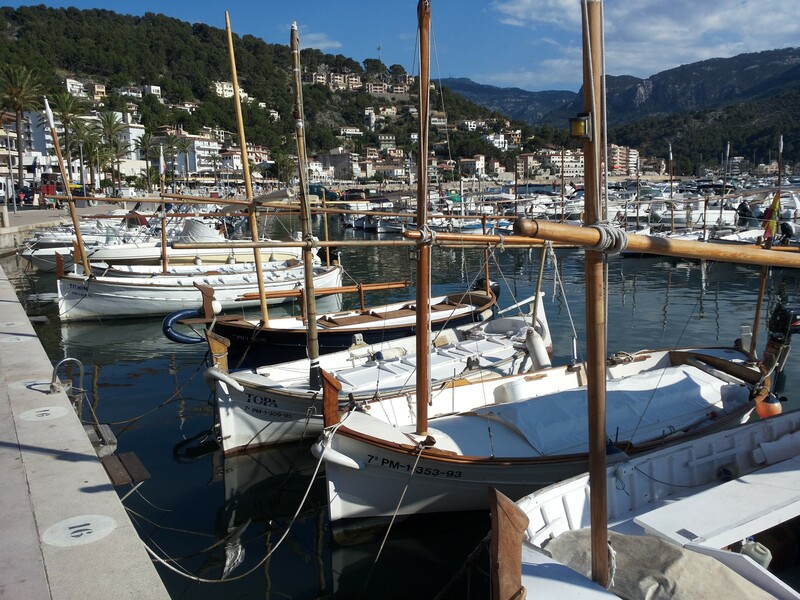 Both Soller and Port de Soller attract quite a few expats (mainly from other European countries) and historically had strong ties with France, giving the area a nice international feel. Although it will get quiet in winter, quality of life here is good both for locals, expats and retirees. Gran Hotel Soller: a five star luxury hotel in the centre of Soller. This hotel is located in one of the most characteristic buildings of Soller, a depiction of the architecture of the town in the 19th century. Even if you don’t stay here, go and have a look at the impressive building. Hotel Esplendido: this modern, chic seaside hotel is located in Port de Soller, just off the beach overlooking the port. Its location is absolutely perfect and the views overlooking the port are impressive day and night. Hotel Es Port: an old mansion fortified in the 17th century in Port de Soller, only a short walk from the harbour and the beach. 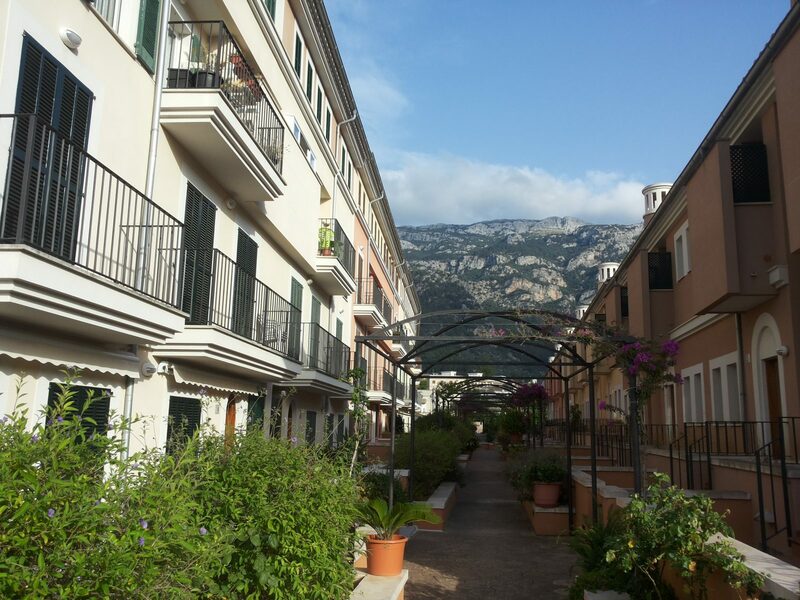 Its quiet location surrounded by beautiful gardens makes this a great place for a relaxing stay in Port de Soller. Jumeirah Port Soller Hotel & Spa: this is the most luxurious hotel in the area. Built on a cliff overlooking Port de Soller it has breathtaking views. With two restaurants, four bars and lounges, two swimming pools and a beautiful Spa it offers all the luxury you expect from a Jumeirah hotel. Casa Alvaro: located in the center of Soller in a quiet street just off the main square Casa Alvaro is the place to go to if you are looking for high quality tapas. Nautilus: this restaurant is worth a visit mainly because of its amazing views. Set on a cliff in Port de Soller this is one of the best places to watch the sunset. Randemar: if you are looking for high quality food in a beautiful, romantic setting you should go to Randemar. This frontline restaurant is set in an old, converted Mallorquin home and definitely worth a visit. Cava: located in the bay of Port de Soller Cava is a nice lounge bar with a good selection of cocktails and an impressive number of Gins. La Base: hidden behind luxury yachts you find this shipping container converted into a bar. And although it might sound a bit weird, it’s considered by most locals and visiting yacht owners to be the best bar in town. With good music, cocktails and a nice terrace this is the place to go to for a late night drink. Unfortunately La Base is only open in summer. 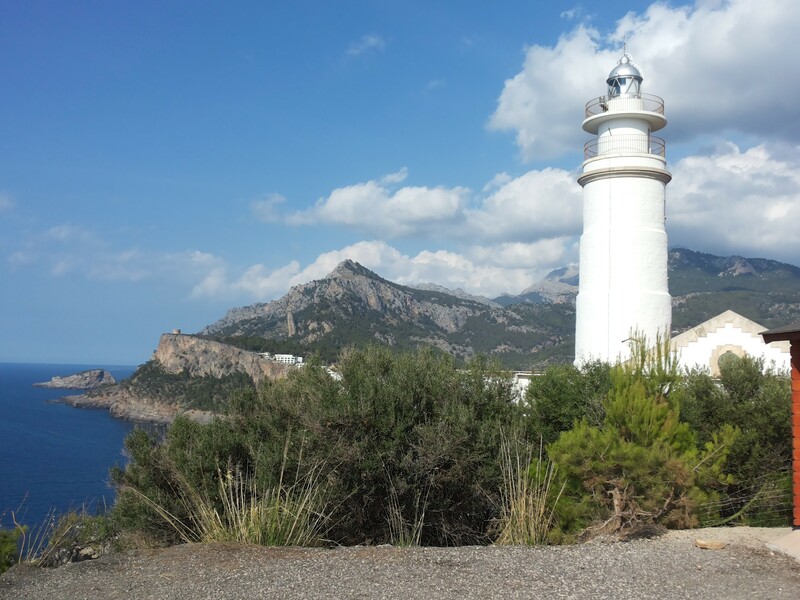 Tramuntana Tours: Tramuntana Tours offer a variety of ways to discover the spectacular surroundings of Soller: either on foot, by bike, sea kayak or boat. Sailing trips with Mezzo Magic: Mezzo Magic offer private day charters along the stunning Northwest coast of Mallorca, incorporating lunches at some of the finest and most exclusive restaurants in the area (including one which is only accessed by boat). Additionally, they have a speed boat and offer water skiing, wakeboarding, fishing trips, dolphin spotting and more. Soller SUP: ever tried stand up paddling? 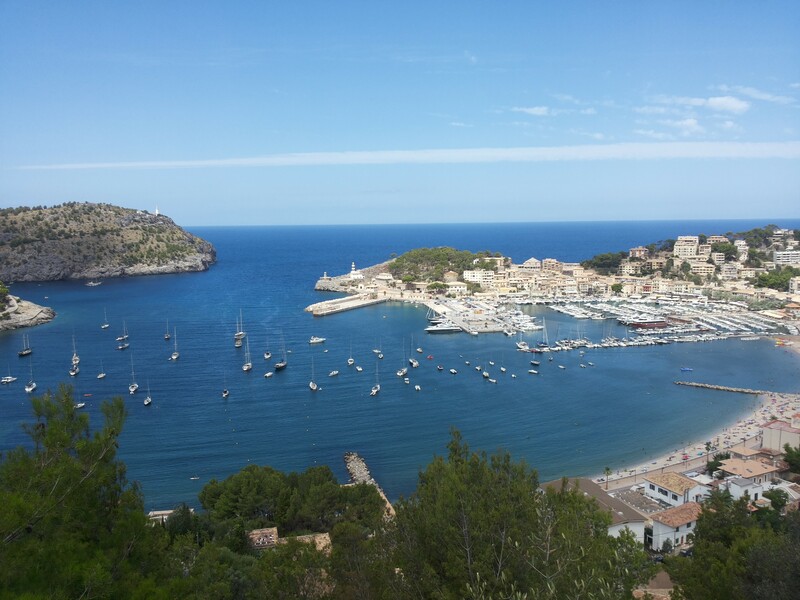 The bay of Port de Soller with its calm water is a great place to learn. It’s where I first tried stand up paddling too! 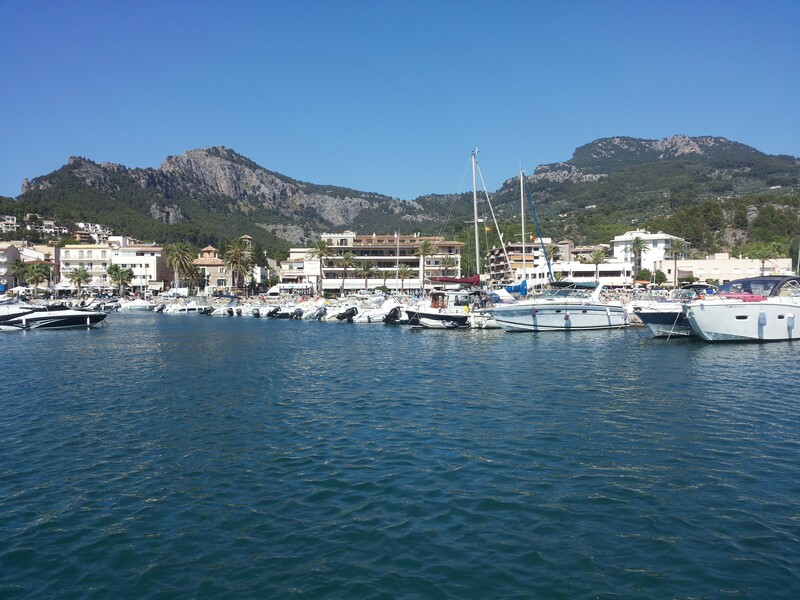 Soller SUP is located just off the beach, close to hotel Esplendido. Scuba Diving with Soller Divers and Octopus Scuba: because of its many caves and caverns the waters around Soller are loved by Scuba Divers. Soller Divers and Octopus Scuba are the two dive centers in Port de Soller. 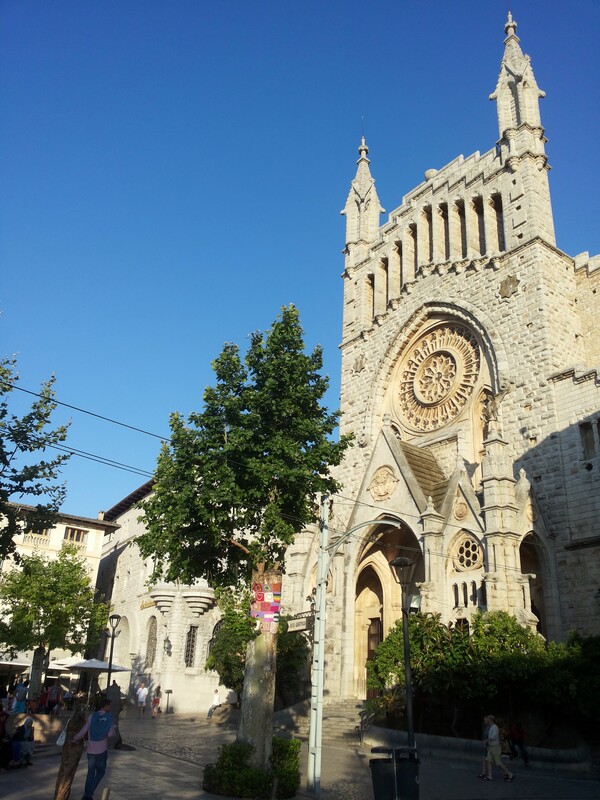 I hope this article helped to give you an idea of what to see & do in Soller. It really is a lovely town and I hope you will enjoy it! Are you thinking about visiting Mallorca? Then check out my article about Mallorca: Mallorca, is it a Tourist Trap or a Beautiful Island? So happy I found your article and thank you again so much for answering some of my questions about Port de Soller and the hotels. Booking a honeymoon is stressful and you have made my decision easier! Thank you again for sharing your knowledge and experiences! Thank you for such a great article. My family and I will be spending time in Soller next July. We also would like to find a town with nice beaches and a decent town with a little history and plenty of restuarant choices, do you have any recommendations? I hope you will have a great time in Mallorca! 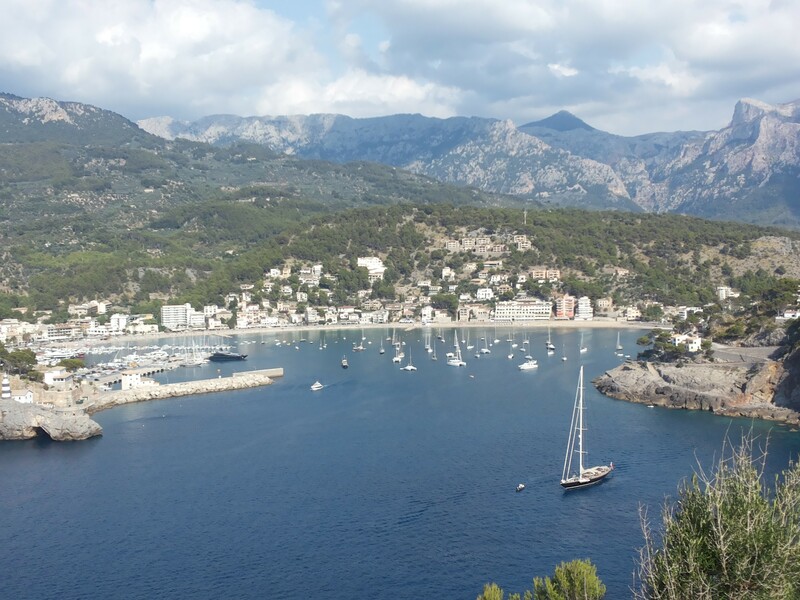 Arriving Port de Soller late April and plan to spend the day walking, especially to Deja. However, I’ll be at a loose end in the evenings if anyone wants to chat. I fell in love with Mallorca first time I went there and just keep coming back and hoping to move there someday. That island is something really special. 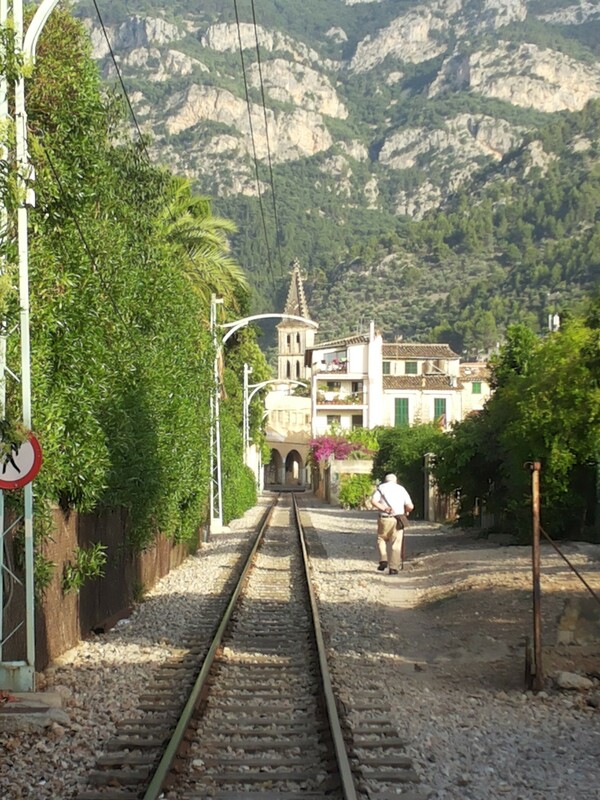 Soller is such a cute little village, I enjoyed my every visit there and the train ride, of course. I’m writing from Palma as look at a possible move to Mallorca and more specifically Soller. We’re a couple in our 30’s and are aiming to live for 12months and maybe longer. Thanks for the post – it’s a rare insight. I do have a few questions if that is ok? I was worried it might be too strange living in a holiday resort. How did you find it? Did you make friends outside from the visiting tourists? How did that go? We both work for ourselves from our laptops. I saw you did too. How did that go and were you the only one doing this? Ideally we could work in a co-working space, but you mentioned that bar might be a good alternative in the meantime! Much appreciate any ideas and any feedback you have. Tomorrow we are off to compare Soller to the east coast which is a bit cheaper, but I suspect lacks the charm of Soller. Thanks for your message! I’m always happy to share my experience living and working abroad. We just chatted through Facebook and I hope the info I gave was useful. Soller really is beautiful and my favorite place in Mallorca but yes, it is a very touristy place in summer and a sleepy town in winter. This doesn’t have to be a bad thing, it’s just something to be aware of. Most (young) people work in the tourism industry, are very outgoing and go out for drinks after work a lot. It’s quite easy to meet them simply by going to the same places more often so that people start to notice you are a “local”. Enjoy the rest of your trip and feel free to contact me again if you have any other questions!